Blog Quick Quotes: Sweetest Moments with Connie! Hi, Connie here with a card, using the Windsong Collection by Quick Quotes. I wanted to share with you how easy it was to add color to a die cut with Quick Quotes PowderPuff Chalk Inks. 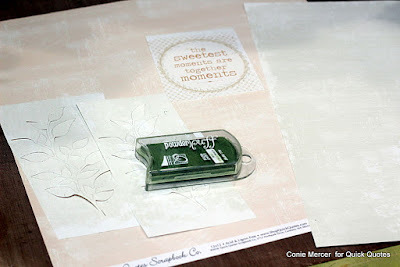 I'm playing along with our new Challenge for December, we hope you join us! 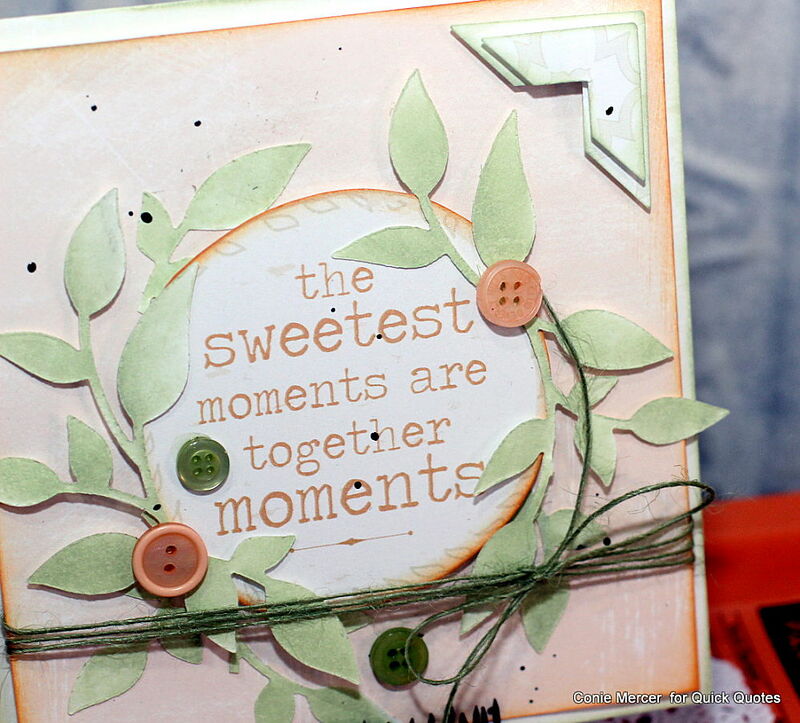 The ivy cluster, circling the quote, is a die cut. 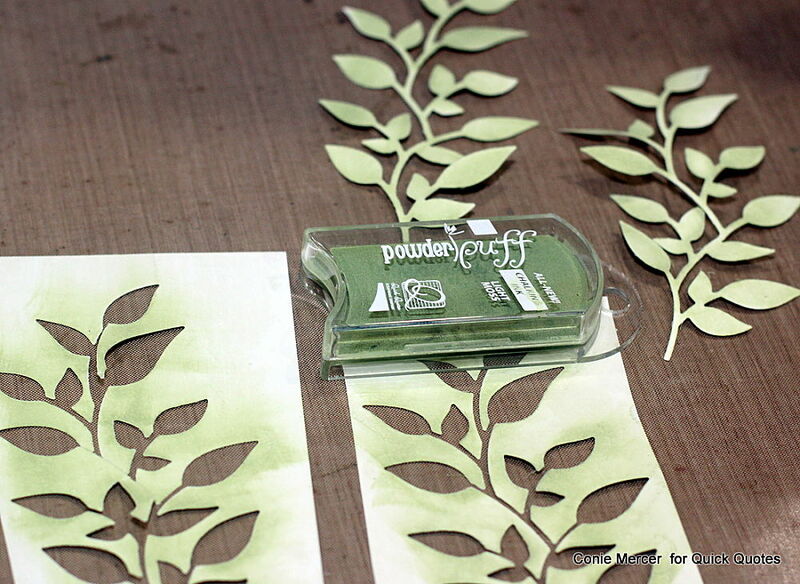 It was cut out of white cardstock making it really easy to color it any color I needed. 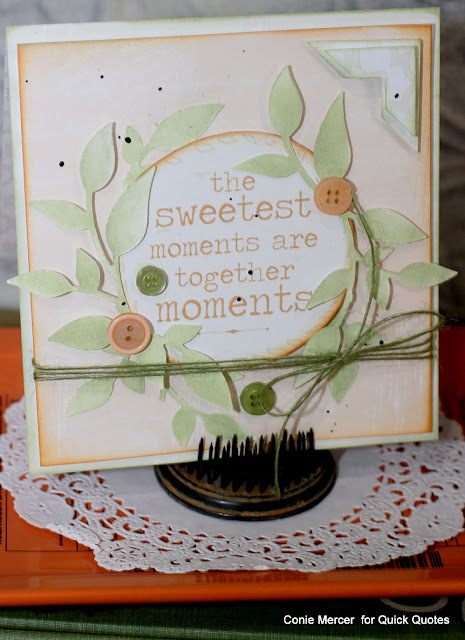 I wanted the ivy to match the buttons and the card base, so I used Light Moss PowderPuff Chalk Ink by Quick Quotes. I inked the ivy while still attached and then punched them after they were colored. I continued to shade around the edges of the leaves adding depth to the ivy. PowderPuff Chalk Inks are so fun to use and very user friendly. They come in all different shades and are beautifully rich in color.